Tackling extortionate mortgage interest rates charged by Irish banks will be a key demand from Fianna Fail during confidence and supply negotiations with Fine Gael, the Sunday Independent can reveal. Ireland has the highest mortgage interest rates of any country in the EU and Irish homeowners on average pay €2,500 a year more than European counterparts. The Central Bank of Ireland recently found the average rate on a 12-month mortgage in this country was 3.15pc compared with the EU average of 1.7pc. A senior Fianna Fail politician said the party will be focused on finding ways to reduce interest rates and helping people who are still in mortgage arrears once negotiations with Fine Gael begin this week. The party will also push for the introduction of measures which would bring about more competition in the banking sector. They will also look to address the increasing influence of so-called ‘vulture funds’ in the housing market. Fianna Fail appointed the party’s finance spokesman Michael McGrath, who has campaigned for lower mortgage rate, as one of its lead negotiators. 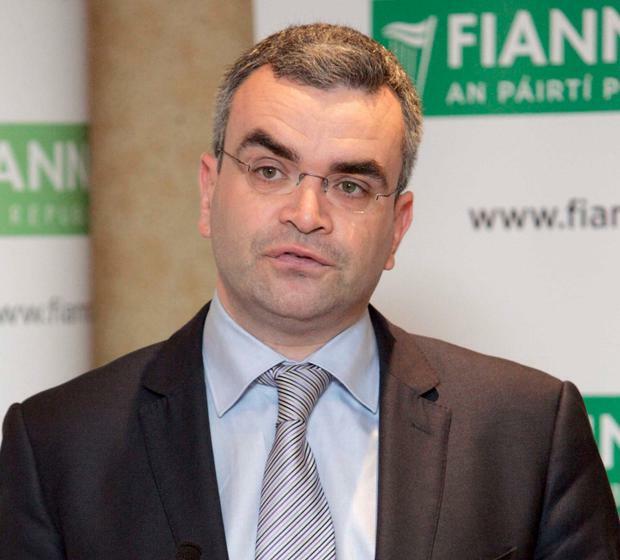 Mr McGrath will be joined by Fianna Fail deputy leader Dara Calleary. 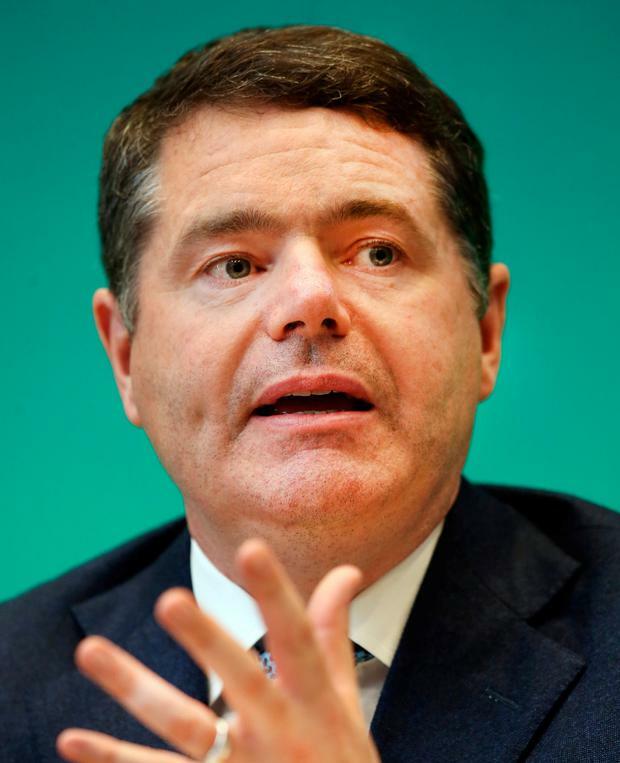 Finance Minister Paschal Donohoe will be part of the negotiations. Mr McGrath has previously said Irish mortgage interest rates were “entirely unjustifiable” and insisted banks “cannot be allowed to continue to fleece Irish consumers in this way”. Negotiators will also raise concerns over the delays in legislation passing through the Dail and the increasing number of bills stuck at the second stage of the legislative process. Housing, health and broadband will also be key topics during the negotiations which will begin this week. Yesterday, Taoiseach Leo Varadkar announced his negotiating team will be lead by Tanaiste Simon Coveney and include Finance Minister Paschal Donohoe, Social Protection Minister Regina Doherty and Fine Gael parliamentary party chairman Martin Heydon. The Taoiseach said the Fine Gael team will enter into the talks with “no preconditions” but with a view to extending the arrangement for another two years. “We are keen to map out and agree what could be achieved across a wide range of policy areas including the economy and jobs, Brexit and Northern Ireland, housing, healthcare, regional development and education, should the Government be facilitated to continue into 2020,” he said. Fianna Fail will insist on a “political discussion” around the current agreement which will involve an assessment of the first three years of the arrangement agreed after the 2016 General Election. The review of the agreement is expected to take several weeks and will involve Fianna Fail TDs asking to review the work of certain departments. Fine Gael is reluctant to engage in a prolonged review but senior party figures last week accepted it was unlikely an extension would be agreed before Christmas. The prospect of a general election is also now highly unlikely as both sides will be reluctant to go to the polls while Brexit negotiations in Brussels are still on a knife-edge. The Brexit talks are now expected to stretch into December after last week’s negotiations ended in a stalemate. Fianna Fail leader Micheal Martin asked the Taoiseach to sign a pact which would ensure a general election could not be called until a Brexit deal is agreed by EU leaders and then passed by the British House of Commons and the European Parliament. If a deal is agreed in Brussels before Christmas, it will be February before it could be voted on by both parliaments. Meanwhile, Fianna Fail has closed the gap in public support on Fine Gael ahead of confidence and supply negations beginning. The latest opinion poll shows Fine Gael is unchanged at 33pc while Fianna Fail has jumped three points to 25pc. Sinn Fein made little impact in recent weeks with the party down one point to 15pc. The demise of the Independents also continued with non-aligned candidates down a point to 12pc. The Labour Party is also down a point to 5pc, the Independent Alliance is unchanged at 4pc while Solidarity-People Before Profit has dropped two points and now does not register a percentage point in the Sunday Business Red C opinion poll. Social Democrats are unchanged at 2pc, the Green Party are down two points to 4pc, while Renua is down a point and also does not register in the poll.